The fear of speaking in public is a very common one. Many people freeze up at the thought of giving a presentation in a board room. 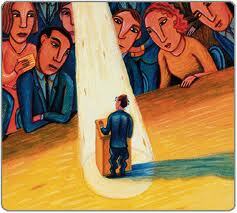 In studies that determine the biggest and most common fears, public speaking always tops the list. People tend to fear speaking in public more than they fear death. This is likely because people do not dwell on the concept of death but they are aware that in just about any walk of life, there will be an occasion to give a speech. Fear of public speaking hypnosis is one of the more successful methods of overcoming this widespread phobia. One of the reasons that speaking in public is such a challenge is that speaking in the front of a large group is not a common experience for most of us. While many people are called upon to make a speech in public, they are not called frequently. If and when the time does come for an impromptu speech, most people panic. They often feel inadequate about their ability to speak without stumbling over their words. They might fear making a mistake, misusing a word, blurting out something inappropriate, or having their mind go blank and being unable to speak. Some people are shy about their physical appearance and they are self-conscious about the fact that when they speak in public all eyes are on them. Their minds cannot fully focus on their words as they are thinking about what they look like and perhaps whether their clothes are right for the occasion. For someone who suffers with this debilitating challenge, fear of public speaking hypnotherapy can be a lifesaver. 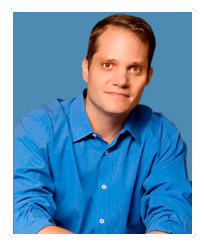 The hypnotherapist guides you, most likely with visualization techniques, through the process of giving the speech. In your mind you give the speech or presentation while you feel positive, bolstered by the public speaking hypnotherapy. Once speaking in public is linked to the positive feelings brought about by hypnosis, the fear can be eliminated. You will have linked public speaking to a very positive and confident feeling. Hypnotherapy does a lot more than provide the positive visualizations. Hypnosis can teach you deep relaxation techniques that calm you and enhance your sense of well-being and your belief in yourself. It can support the insecure areas in your psyche that leave you feeling vulnerable when you stand before a crowd. Your hypnotist can help identify the reason for your fear of public speaking and help reframe the way your subconscious mind views that limiting memory. A fear of speaking almost always is caused by an event in the past. Once your perception of this event is changed, the fear simply disappears. The reason hypnosis is so powerful is that it uses your own resources to overcome your fear of public speaking. Hypnosis taps into your subconscious and changes your feelings and attitudes towards what used to be a very frightening experience. You will naturally and automatically feel at ease when speaking to a group. In the same way that you automatically breathe and blink without thinking about it, you will also be able to speak clearly and easily to groups of people. Due to the fact that this becomes an automatic response, you will feel in the moment and present when talking to large groups. Public speaking hypnosis is a powerful and natural way to enhance your confidence and eliminate self-doubt and fear. Hypnosis for fear of public speaking allows you the ability to be in the moment with optimal focus and concentration that will leave you feeling comfortable in front of any sized crowd or gathering.